Updated Thursday April 4, 2019 by Vernon Ringette Association. Welcome back to Greater Vernon Ringette Association’s returning players and welcome to all new registrants. New and returning players may register online using the following link or by downloading and mailing in the registration/payment (found at the bottom of this page). Kid sport fund is available for those requiring financial assistance. Contact Greater Vernon Kids Sport Fund.Due to insurance reasons, players will not be allowed on the ice until full registration fees have been received. Early bird registration deadline is July 31st. Full payment must be received by this date in order to receive the early registration discount. 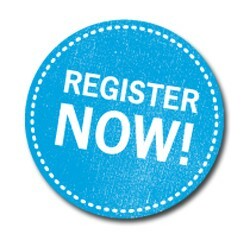 Any other registrations must be recieved by September 1st will be subject to the regular fees. Any registrations recieved after September 1st will be subject to an increased "late fee". A family rate is available for those families registering 3 or more players ($100 off per family). Refunds – Fee less $25, less 25% per month player has participated (either part or whole). No refunds after January 1. · For general safety reasons and insurance coverage considerations, any expiry dates found on helmets must be observed. Helmets where an expiry date is provided should not be worn past the date indicated. Permitting the use of safety equipment that has exceeded its expiry date is considered an unsafe practice and may be a mitigating factor in assessing greater liability or create problems related to insurability should an accident involve equipment found to exceed the expiration date. KidSport is a community based sport-funding program that provides grants for children 18 and under to participate in a sport season of their choice. Click Here for more information about applying for KidSport.